This month I am taking a break from our regular monthly #EnvHist Worth Reading posts to host the 146th History Carnival and focus solely on some of the best blogging that has occurred in the history community over the past month or so. Keeping with the mission of the NiCHE website, I decided to focus primarily on environmental history blogs, but have also included some posts dealing with the history of science and history in general. One of the most fruitful (pun intended) topics this month was the history of agriculture. On JStor Daily, D. Joshua Taylor explores the intersection of environmental, social, and economic histories and genealogy and argues that scholars and genealogical researchers need to pay more attention to “Our Farming Ancestors.” On a similar note, on the Women’s Work in Rural England, 1500-1700 blog, Mark Hailwood asks “Did Women Work in Agriculture?” The answer to this question, according to some response Tweets that rolled in after I shared this article, seems to be obvious: of course they did! However, Hailwood demonstrates that it is not necessarily easy to find archival sources to support this exclamation. Hailwood looks at some of the sources that exist, including visual art. Another visual source, provided by Sean Munger, is a photograph of a Russian vineyard, circa 1910. Munger speculates on the significance of the photograph and the short post is a good companion piece to Munger’s Planet Wine Series, including an older piece on the environmental history of German wine. On The New York History Blog, John Warren explores the history of apple cultivation and reviews Apples of New York by A.L. DuBois. Fire is a natural element of the western Canadian landscape. On her blog, Merle Massie explores the harrowing events of “The Great Fire of 1919.” One of the largest fires in Canadian history, the fire of 1919 burned 2.8 million hectares of forest. On Ant, Spider, Bee, Wilko Graf von Hardenburg praises the US Geological Survey’s new historic topographic maps viewer, topoView. However, he laments that such a resource does not yet exist for European maps, which ultimately causes a “A Topography of Envy.” Moving from a topography of envy to a monastic topography, Eddie Proctor–on the blog, Landscapism–describes his upcoming Phd research which will explore the “Topographic Legacies of Monasticism.” Proctor argues that monastic estates have been ignored by historians and asks whether or not the examination of monastic estates can illuminate a kind of ‘religious topography.’ Monastic estates are a kind of park environment, not dissimilar to urban parks like High Park in Toronto. On the BlogTO this past month, Chris Bateman uses historical photographs to explore “What High Park Used to Look Like in Toronto.” On my personal blog, I also examined the subject of urban parks this past month. 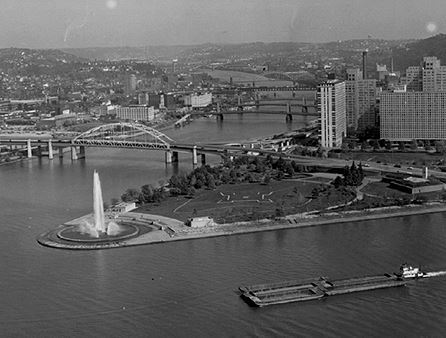 In “Do Not Look Into the Manly Void: Horsbrugh, Pittsburgh, and Point State Park,” I discuss how I inadvertently stumbled on an architect and urban planner from the 1960s that has helped shape my understanding of Point State Park and urban nature more generally. On the SHRA (Stephen’s Historical Research Associates) blog, employees of the firm often post interesting archival finds. This month, Stephanie Milne-Lane looks at the history of Native American fishing rights in Washington State in “Go Fish.” From regulating fishing rights to regulating fish populations, Charles Herr shares an early example of wildlife management on the Adirondack Almanack: “Fish Tales: First Stocking of the Fulton Chain (1876).” Continuing her examination of The Return of Native Nordic Fauna, Dolly Jørgensen provides an interesting post on the proposed “widespread domestication of reindeer and muskox in the North.” The desire to turn ‘useless’ land into profitable land, or “The Fruitful Arctic,” acts as the main impetus for the proposed project, connecting Jørgensen’s post to wider frontier narratives. On his blog, Richard Pickard further explores human relationship to animals in his review of Jim Sterba’s Nature Wars: The Incredible story of How Wildlife Comebacks Turned Backyards into Battlegrounds. The Power and the Water project blog published a number of interesting pieces this past month. In “Harvesting Oral Histories: Life, Work and Fog on the Tyne,” Leona Skelton discusses the way in which she is using oral history in her dissertation, an environmental history of the Tyne River, and argues for the increased usage of oral history techniques by environmental historians. In “Plastic Oceans: Connectivities of Waste,” Marianna Dudley describes how the plastic debris that we see today in waterways will make up the historic, environmental evidence of tomorrow. She also argues that plastic waste also illustrates the connectivity of the global environment. Dudley’s post is largely based on a recent visit to Bali. In a similar vein, Catherine Knight, at the envirohistory NZ blog, describes the impact of a recent storm in Wellington. Washed up on the beach after the storm was a plethora of debris, some natural–driftwood–but much of it unnatural–plastic–reminding, Knight argues, New Zealanders of their role in creating the Great Pacific Plastic Patch. Just as the constant movement of the ocean causes plastics to travel great distances, so too does it create difficulties for engineers, as Antony Adler discusses in his post “#PlatformsMatter: Design and the Marine Environment” on the History of Oceanography blog. On the Imperial & Global Forum blog, Patrick Porter discusses his new book The Global Village Myth, questioning the way in which technology has made the world ‘smaller’ when it comes to weapons and warfare. The geological and ecological equivalent of globalization is the concept of the anthropocene. Many recent articles and posts have been exploring and questioning the details of and the usefulness of the anthropocene. On the Inhabiting the Anthropocene blog this past month, Noah Theriault provides a fascinating post that emphasizes the importance of exploring the gender of the anthropocene. Scrap of Wallpaper, Source: The Trickster Prince. 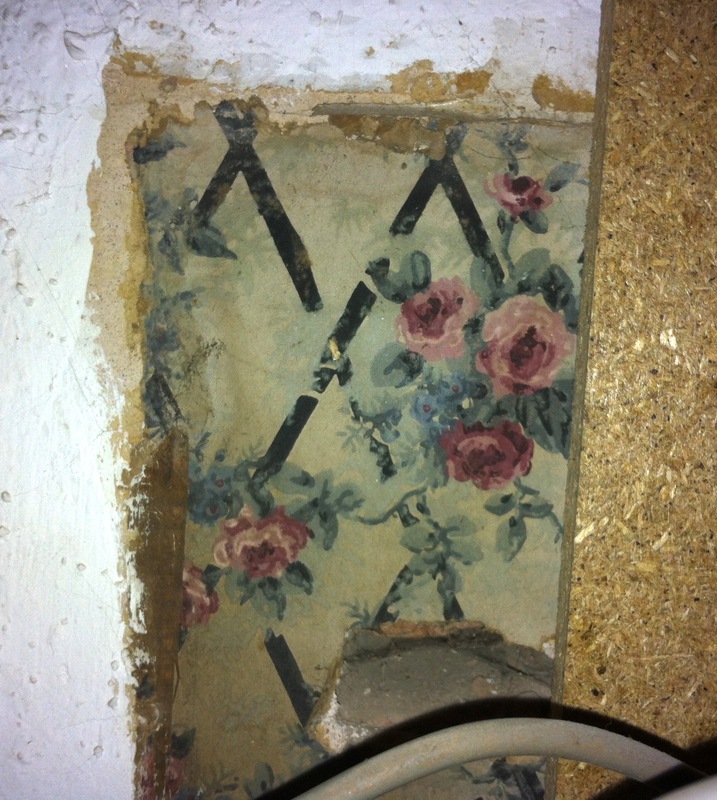 To round out the collection on a slightly different note, Sarah Ruth Wilson published an interesting post on her experience at the 2015 meeting of The Western Association of Women Historians and Matt Houlbrook wrote a charming reflection piece based on a scrap of old wallpaper on his blog, The Trickster Prince. Thanks to those who made suggestions this month! Please post any blog posts that I missed in the comments. To keep up with future environmental history posts, please follow us on Twitter (@NiCHE_Canada), Facebook, and Google +. Next month the History Carnival will be hosted by Panacea: Musings on the History of Medicine.